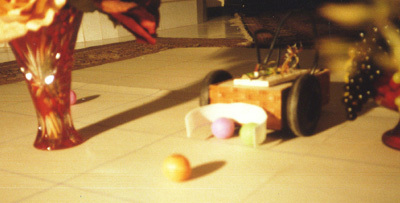 Food Collector is a Semi-Autonomous Robot for Optimal Path Planning. obtain the optimal path for its navigation. output in form of UP, DOWN, LEFT and RIGHT. system is based on differntial drive method ). or BACKWARD commands for each motor. generated for signaling stppers motors. and the program runs there. thing I bought was two stepper motors that cost around 15$ .